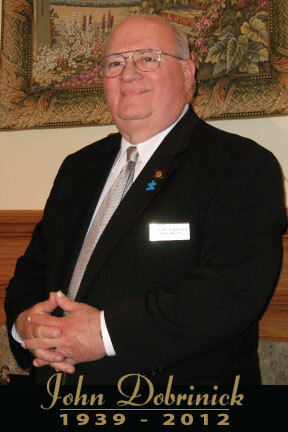 John M. Dobrinick is the founder of the funeral home since 1974. He passed on October 10th, 2012 after a year long battle with cancer and other ailments. John and his wife Bonnie were married for 48 years. Bonnie is still active with the family business helping out where she can. They had two children Lynn M. Cass and her husband James, and a son Thomas J. Dobrinick. John was very proud of his grandchildren Alex and Maxwell Cass, Hannah and Emma Dobrinick. Thomas J. Dobrinick has been a licensed funeral director since 1994, licensed insurance agent in the state of Pennsylvania and Notary Public. He currently runs the day to day operations of the business. Tom has two daughters Hannah and Emma Dobrinick. Tom has been a member of the Trafford Fire Co. #1 since 1995 and has served in many roles for the department and is actively involved within the Trafford Community.